Homicide investigators are seeking the public’s help identifying the suspect responsible for the murder of real estate broker Simon Giannini. The father of two was dining in downtown Toronto with a friend on the evening of Saturday, September 16, when the suspect walked into the restaurant and shot him. 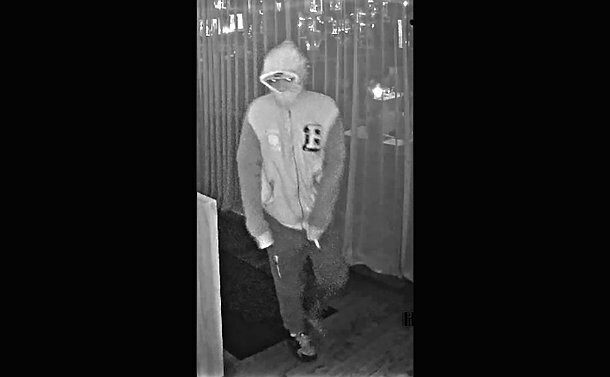 After the shooting, the suspect fled the restaurant and ran southbound on Simcoe St. to Pearl St.
“Once at Pearl St., the suspect entered a light-coloured SUV, which fled southbound,” Detective Shannon Dawson said, at a news conference at police headquarters on September 20. Giannini was taken to hospital where he succumbed to his injuries. The cause of death was gunshot wounds to the torso. Dawson thanked members of the public for coming forward and providing police with valuable information. Security camera footage capturing the suspect and the vehicle he fled in were released at the press conference. Witnesses describe the suspect as a black man with a medium build. The jacket he was wearing has a distinctive emblem.